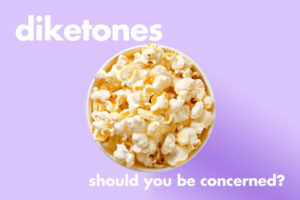 What are diketones and should you be concerned? Diacetyl is a chemical used in the flavouring industry to produce a creamy, buttery flavour. It is part of a group of chemicals known as Diketones, which also include Acetyl Propionyl and Acetoin. Acetyl Propionyl and Acetoin can potentially contain or form trace amounts of Diacetyl under certain conditions. The fear around diacetyl comes from a case in the 1990’s where a group of workers in a microwave popcorn factory contracted ‘popcorn lung’ (bronchiolitis). The workers inhaled large amounts of Diacetyl (used in the butter flavour) in very high concentration in a powdered form. It is generally accepted that the Diacetyl was the cause of the disease. Diacetyl is safe for use in food and is present in cigarettes at a level somewhere between 10 and 100 times that found in any vapour product to date. However, if the ecig industry can achieve similar flavours without Diketones, it seems sensible to do so as a precaution. None of the ingredients used in Vapable e liquids or the Vapable own brand flavour concentrates contain diketones. For the flavour concentrates we sell that are produced by other brands we do try to provide as much information as we can on the product pages. However, the sheer number of concentrates we sell makes this difficult. If you are concerned about Diketones, we strongly suggest that you do a little of your own research before starting to make your own liquid. 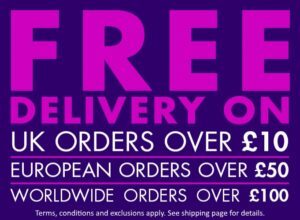 Flavour Art guarantee all of their flavours to be Diketone free. Capella – where Capella offer a V2 in a flavour, it will be a Diketone free version. This doesn’t necessarily mean that all of their other flavours contain Diketones – just that the V1 in that flavour did. The Perfumers Apprentice – where TPA offer a DX in a flavour, it will be a Diketone free version. This doesn’t necessarily mean that all of their other flavours contain Diketones – just that the non-DX in that flavour did. Also, they have just renamed some diketone free versions completely. For example, the Diketone free version of Vanilla Bean Ice Cream is Vanilla Bean Gelato and the Diketone free version of Vanilla Custard is Vanilla Swirl. We provide this information on the product pages as much as we can. Flavor West – all are Diacetyl free. However, some can contain traces of Acetyl Propionyl or Acetoin. This information is given in the ingredient section for each flavour’s product page. One on One – information is given in the ingredient section for each flavour’s product page. T Juice – we currently have no information available.